David Ianni was born in 1979 in Luxembourg. 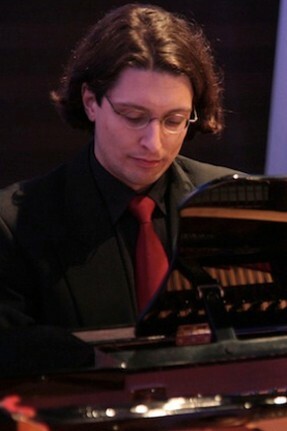 At the age of nine, he began to study piano in Luxembourg, and subsequently both in London and in Maastricht. At the age of sixteen, he made his debut in Luxembourg with Franz Liszt's Second Piano Concerto, with the Philharmonic Orchestra of Luxembourg. Since then, many outstanding concerts followed - both solo and with orchestra - all over Europe, in Japan and in India, as well as the recording of several CD's. Last year on the Feast of St. Sylvester, I came to Medjugorje for the first time with a group from Austria, "Amici di Dio", which organises annual pilgrimages to Medjugorje. My conversion is closely connected with the consecration to Mary. Shortly after I made the consecration, in summer 2004, I felt a strong interior call to come to Medjugorje. An acquaintance once said to me: "If it ever happens that you feel the need to go to Medjugorje, it could be that the Mother of God is calling you." This sentence remained carved in my memory. After the consecration that call became progressively stronger.